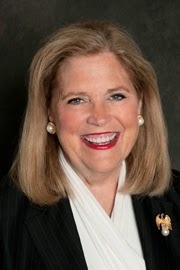 Rep. Patti Bellock (R-Hinsdale) today took to the House floor to review the success of the Maximus Medicaid review contract, and to ask when legislators might get an answer from Governor Quinn's administration regarding an appeal of an arbitrator's suspension of the contract. In the short time it was active, Maximus' audit of Medicaid eligibility found thousands of ineligible persons claiming Illinois Medicaid benefits. The audit potentially saved millions of taxpayer dollars before it was terminated by the arbitrator. The full video is available here.